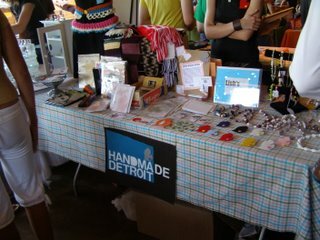 Handmade Detroit | Ypsilanti sure knows how to craft! 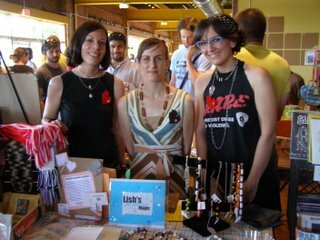 Ypsilanti sure knows how to craft! 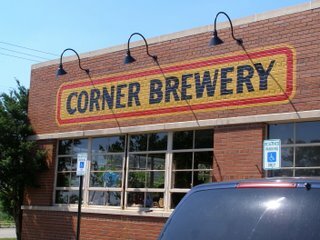 The Corner Brewery in Ypsilanti. 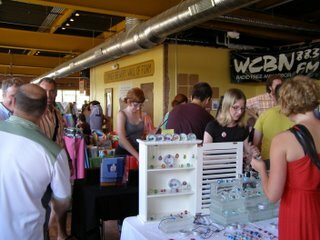 An excellent place for crafts, nifty people, and tall mugs of cold beer. 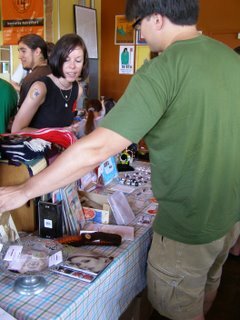 Christine pimps the fair to an interested Shadow attendee. Inside action at the fair. Look at this adorable table! I wonder who it belongs to…?! 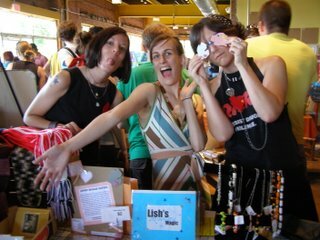 Proud to be crafters: Christine, Steph, Lish. Proud to be silly crafters. Oh, the silliness! And if I didn’t give enough love to our hosts this weekend, make sure to read the bar’s blog and see what others have to say about the fair at their Myspace page.